Your perfect vision. Our vast resources. Together, we’ll create an event where anything you dream is possible. On any scale imaginable. More than 170,000 square feet of completely adaptable space. The highest standards for environmentally friendly business practices earning us the coveted 5 Green Keys from Green Key Global. And our team of professional and talented meeting and event managers dedicated to making your vision a reality. 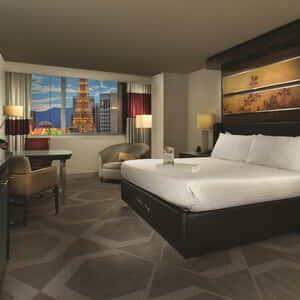 The Mirage is truly the ultimate Vegas destination for any occasion. 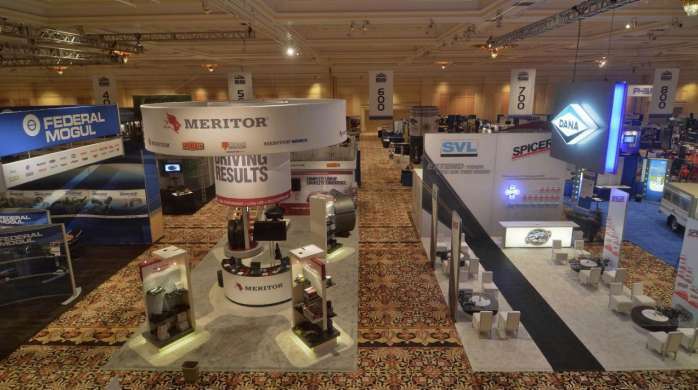 The Mirage Events Center is perfect for trade shows, exhibits, concerts and galas. 90,000 square feet of pillar-less space can be partitioned into three 30,000 square foot sections–one of which can break down into three rooms of 6,500 to 10,000 square feet per section. Fully carpeted, the Mirage Events Center features state-of-the-art fiber optic, power, lighting, and rigging support to accommodate the most complex shows and events. 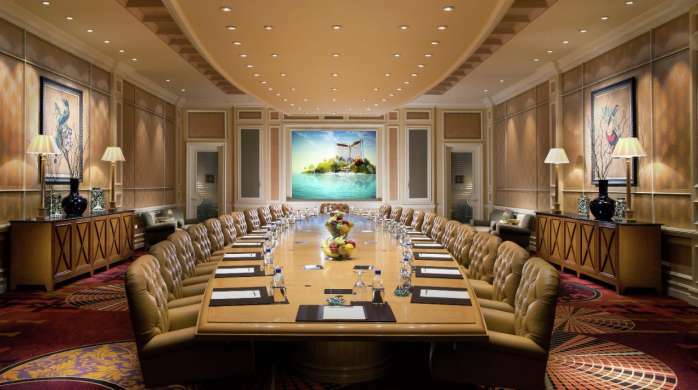 For a high-impact meeting in an intimate space, check into the Nassau Boardroom. Impeccably outfitted for board meetings and VIP gatherings, this professional space provides state-of-the-art audio-visual technology to bring your presentation to life. 40,000 square feet of pillar-less space and a recessed stage make the Grand Ballroom an accommodating and adaptable venue for presentations, celebrations, exhibits and anything you can imagine. Plus, it’s just steps away from the guest elevators. 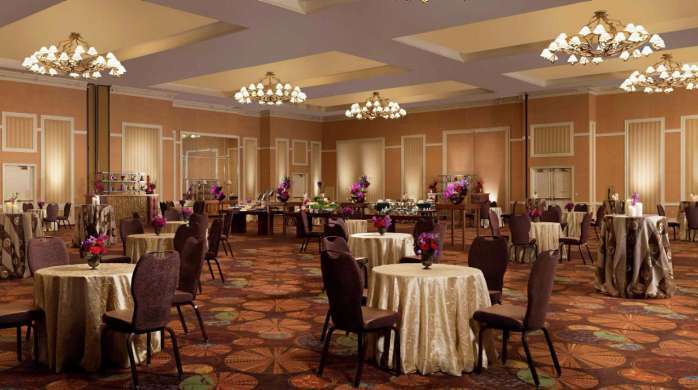 Let our friendly conventions staff show you how you can customize every detail of your event in the Grand Ballroom. 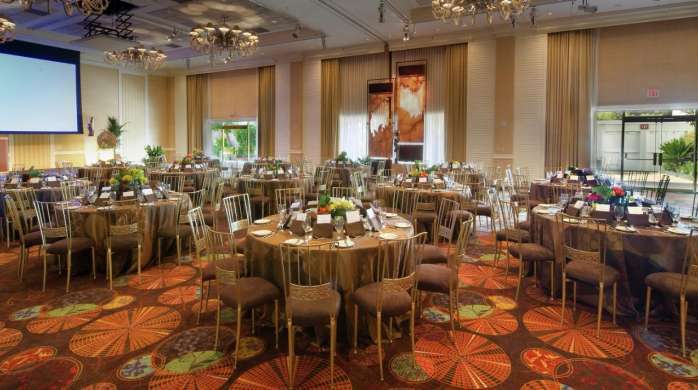 A premier venue capable of holding up to 300 in rounds, the Bermuda room features floor-to-ceiling windows overlooking the Mirage Pool and waterfall. The perfect location for weddings, social, and executive events, the Bermuda room features an intimate wrap-around patio perfect for cocktails and conversations. The 10,500 sq. 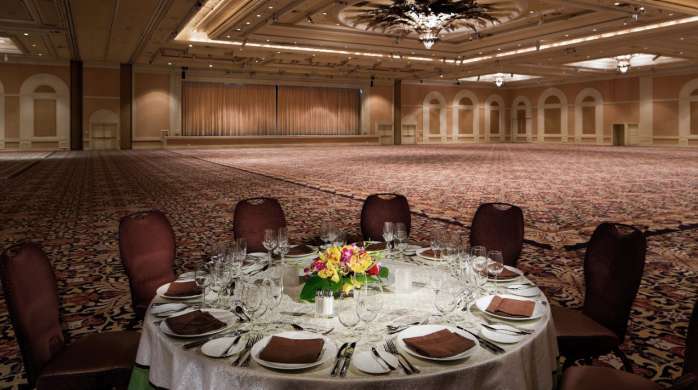 ft. Montego Ballroom is a beautifully appointed area for meeting groups of 300 and below. Just steps from the guest elevators, the pillar-less room is capable of breaking into six spaces: a general session, a meal room and four small breakouts. Plus, it features a built-in loading door for easy load in and load out. 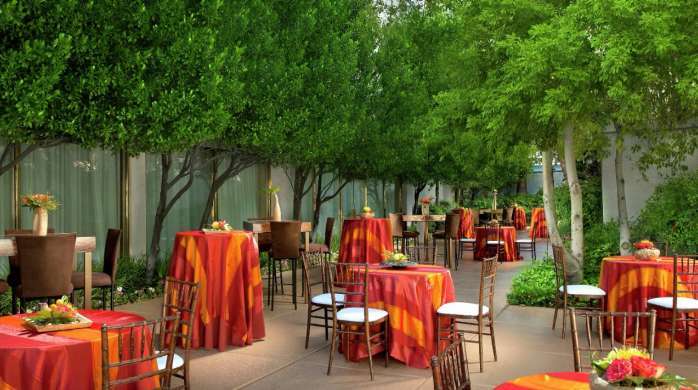 The sister room to Bermuda, the St. Croix room boasts a 700-square foot private outdoor patio enclosure with floor to ceiling windowed space, creating a tropical paradise for dining at the center of the Las Vegas Strip. While perfect for elegant soirees, St. Croix also features built-in projection screens and top-line LCD projectors making this versatile venue perfect for intimate meetings and executive programs. 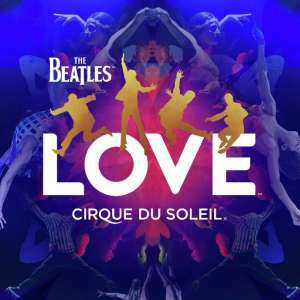 Considering hosting your event at The Mirage? Curious about our flexible event spaces, catering options or sponsorship opportunities? Use these helpful resources or contact our friendly conventions staff to find out why The Mirage is a dream destination for meetings and events. Find your flavor. 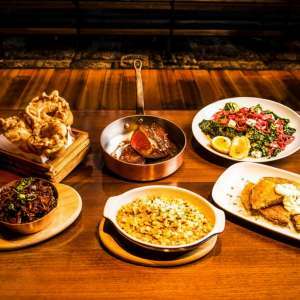 Explore world- class dining destinations. There's more to see and do.